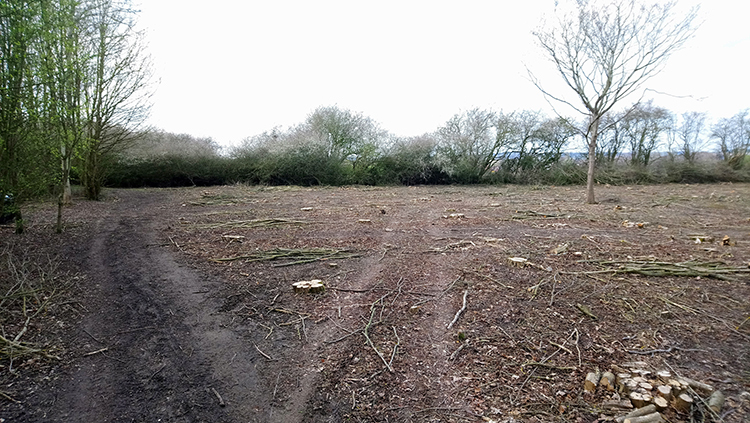 It sure does feel good to have finished cutting and clearing at Centenary Wood. That’s four winters of cutting or at least four January and Februarys. Winter cutting can be hard work and sometimes daunting; last winter more than most given Jane’s hand injury that took her out of the equation. Our apprentice has been brilliant and thanks are also due to a couple of friends who stepped in to help. And now it’s done, spring’s here and it feels like a very long time since 1st February this year when we stood in the snow and looked with trepidation at the first row of hazel to be taken out. Jane was there for moral support and she got cold and we both got miserable. Last week we took the last of the corded wood off the coup and stacked it, ride side, ready for collection – perhaps next month. At least, whenever we have a space created for it in Gravenhurst. 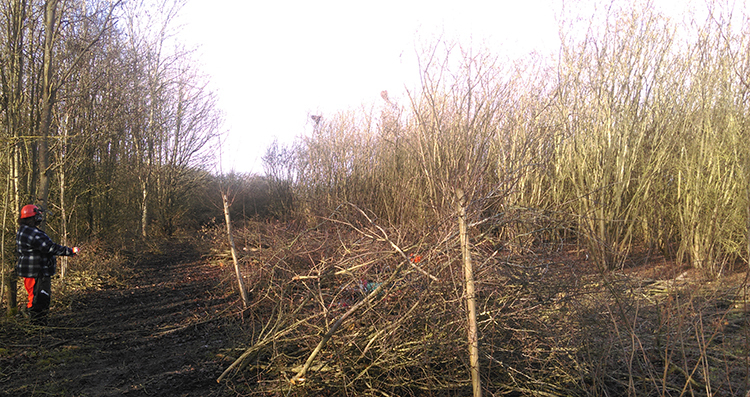 Most of it will be cut and split this summer and turned into charcoal next year – information about our charcoal here. The first coup we cut in January 2016 has grown well and we may cut it again next winter in a bid to promote loads of new stems. It seems to me, the more it’s cut the more growth it produces. Our decision will depend on a couple of things. First an ok from Lyndsey at Central Beds Council. Then a couple of other possible woods we hope to look at this spring. If coppicing in one or more of these comes off, Centenary will probably have to wait. It’s been good working at Centenary Wood. It’s a lovely spot, between Pulloxhill and Flitton, a few miles south of Bedford. If you don’t know it, why not take a look? Owned by Central Beds Council, it’s open to the public and well worth a visit – information here.